Think this is the correct setlist, however if it isn;t, please email any corrections to swearimnotpaul@gmail.com thanks. Thanks to Mary D and Tiago for an update. Also played 'Na Na Na Na Naa', 'Like It Too Much', 'Can't Say What I Mean' and 'Tomato In The Rain'. 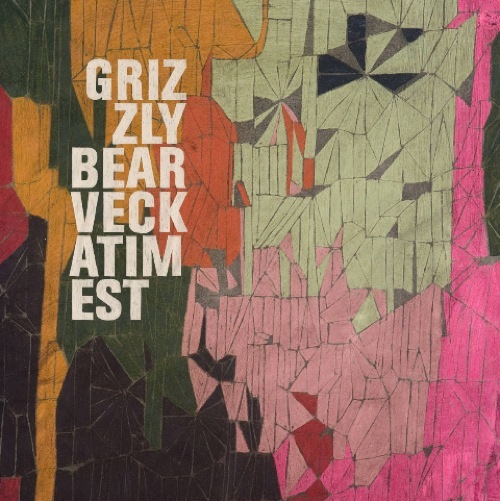 Thanks to Ryan for the nod towards http://onethirtybpm.com/2009/02/10/live-preview-grizzly-bear-veckatimest/ which has some live cuts of the songs from Grizzly bear's upcoming Veckatimest (I have to check everytime to see if it's spelled right). 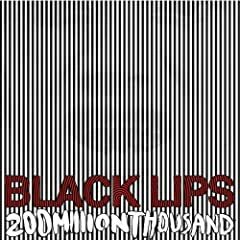 The more I look at the album cover, the more I think that's George Washington. I'm probably totally wrong. The album itself comes out next week in the US, so if you find a lucky Irish retailer, you may be able to buy it today. If you can't find one of those, you can stream it in full on last.fm. I've no idea how to pronounce it, but no doubt you'll be reading the title Veckatimest on a lot of year-end best ofs. This could well be Grizzly Bear's best album yet. It's due out in late May. And I hope to have a download of anything, even a live cut, as soon as possible to whet your appetite. Trust me, it'll be great. An excellent show by Jason Isbell and the 400 Unit to promote the launch of their new album Jason Isbell and the 400 Unit. The set had a mixture of old and new, with songs coming from the new record, Jason's excellent solo debut Sirens of the Ditch, and even some songs he recorded with The Drive-By Truckers. If you haven't got the new album yet, or even heard Jason live, you're in for a treat. The one thing I recommend you download this week. Forget about that U2 leak. No title, no tracklists, not much really. But I thought this was strange enough (or interesting enough, depending on perspective) to tell you about. Former Smashing Pumpkins guitarist James Iha, Cheap Trick drummer Bun E. Carlos, Hanson's Taylor Hanson and Fountains Of Wayne bassist Adam Schlesinger have formed a new band, Tinted Windows. The group has recorded its debut album at Stratosphere Sound Studios in New York, which Schlesinger and Iha co-own with Ivy's Andy Chase. The set is expected this spring on a label to be announced. Tinted Windows will play its first major show at Billboard's South by Southwest showcase, to be held March 20 at Pangaea in Austin, Texas. So not a live performance, song clip, or download in sight. Nor a label or release date. But James Iha and one of the kids from Hanson? Amazing. Baffling. Queue me fawning over an album cover again. Nothing really explains why I like certain album covers, but I really do like the one for Hamilton Ontario's The Rest's upcoming second album Everyone All at Once. But congratulations to everyone who made the shortlist in each category, and especially the 5 who beat me in mine! In order to heighten anticipation for their upcoming second full album (the follow up to the splendid Moonbeams), Throw Me the Statue have released a little EP. It's called Purpleface, and is available now. The EP's closing tune, 'Ship' is the glorious crescendo of the EP, and I have it available for download. We've got some sad news. It's with a very heavy heart that we have to let you know that Ronan has decided to leave the band. He feels its best for him to move on and do other things. The three of us will still be making music and will let you know about what happens next. As our songs always came from the four of us playing together we've also decided that it wouldn't feel right to continue "delorentos" without him. We're all very proud of the songs we've written over the last year, we feel they're some of the best we've ever done, and as a result we're determined not to discard them or let them go. Next month, the four of us are going to record this album together and plan on making it something we'll all be proud of. It'll be our last collection of songs as delorentos, and we hope you'll like them. We want to thank everyone that's supported us since we started, we'd never have gotten this far without you. We hope to play a gig or two to say goodbye. We'll be in touch soon with more details. Ross, Neal and Kieran and Ro.